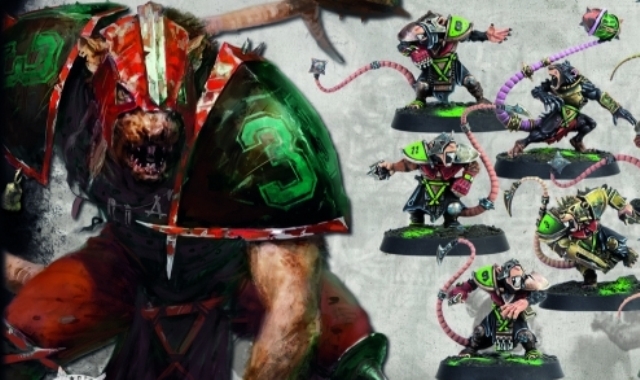 Blood Bowl: New Rules In March WD! 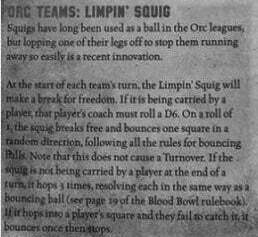 Looking to add some danger to your games of Blood Bowl? The March WD has 4 new Balls to use on the pitch! 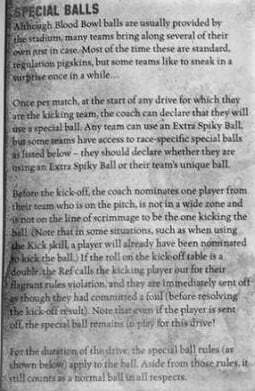 Games Workshop is adding some optional rules for your Blood Bowl Games. Now players can try to sneak in some new types of Balls to use in their kickoff – but be warned, these might prove to tough to handle! The Limpin’ Squig Ball is just extra bouncy and can attempt to hop away – that’s what happens when it can only use 1 leg! 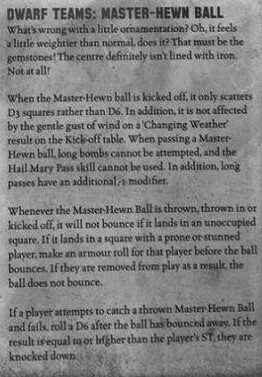 The Master-Hewn Ball is regulation in the all dwarf-league. It’s not their fault your puny strength can’t support it’s hefty weight. Overall, these are some fun changes to the game – but keep in mind you can get busted for attempting to use one! 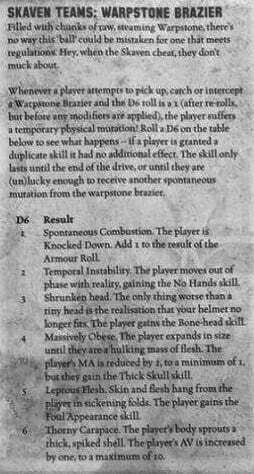 Still, it’s nice to see Blood Bowl getting these fun little flourishes in the White Dwarf. 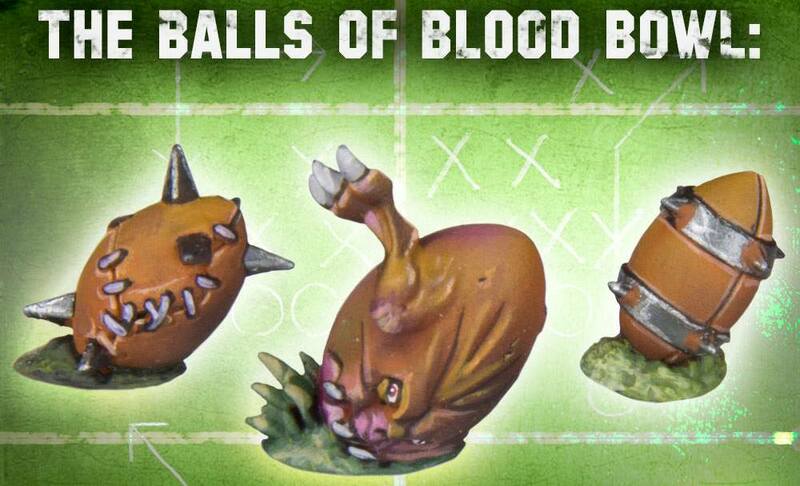 Try out one of the new balls in your next Blood Bowl Game – you know, cause it’s not brutal enough!